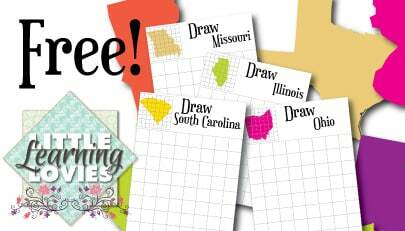 » FREE “How To Draw The States” And A Giveaway! Hi, Momma! I know you’re pretty busy today. You are probably neck-deep in schooling or school prep and don’t have a ton of time. I promise, though, this will only take a moment! You see, I’ve been working on something for you. Something I think your kids will LOVE to use and learn with. It’s about to officially launch in our store here at Little Learning Lovies and I wanted YOU to be the first to know about it! Through this weekend, you can get in on a sneak-peek freebie. 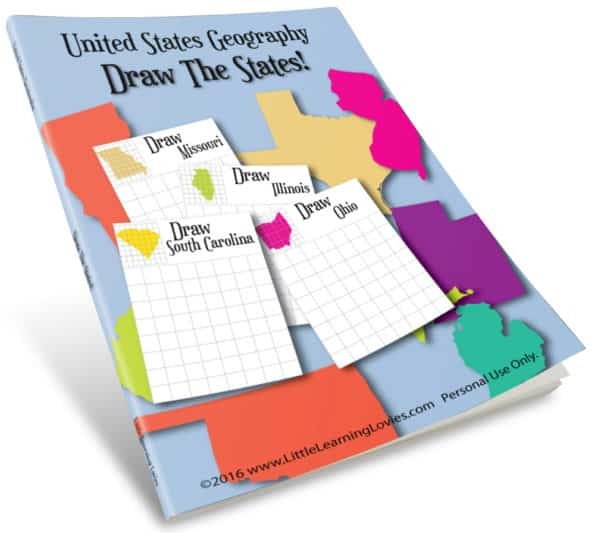 It’s a 50+ page PDF book called “How To Draw The States” and it’s just one of a dozen files in our big bundle of US Geography games and activities. When you download the freebie, you’re also automatically entered to WIN the whole bundle! On Monday, September 5th, I’ll be sharing more about the whole bundle with you. For now, though, here’s a look at some of what’s in store for you! What do you think, Momma? Will your kids love learning the states with these games? The FREEBIE ENDS at 11:59 PM on Sunday, Sept 4th! Then we pick our bundle winner and officially LAUNCH this BIG BUNDLE of US Geography FUN! It’s time to act right now and claim your copy! There’s so much to give you (and your friends!) that we need to show you a LIST! 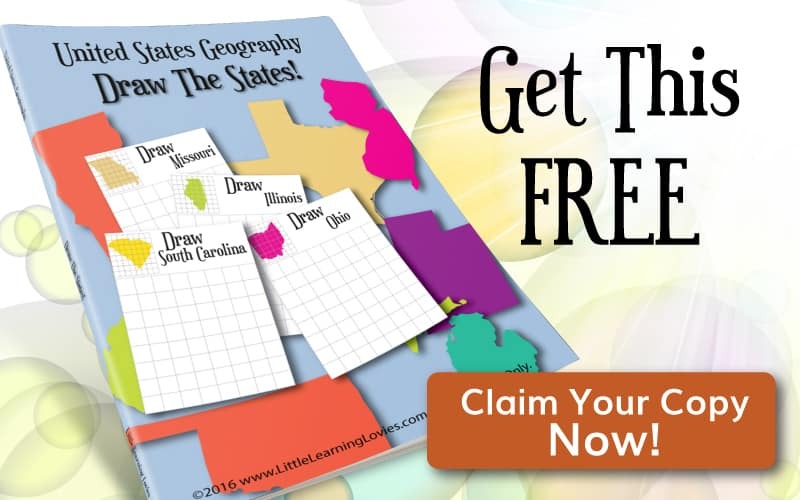 FREE entry to win the entire US Geography Bundle! PLUS – Earn a FREE COPY of “State Flag Memory” game by sharing with your friends! Launch starts Monday! What are you waiting for? “HOW TO DRAW THE STATES” NOW! I am unable to sign up to get this freebie or get a free entry in the giveaway. It just goes back to the top of the page instead of opening a new page.